I’ve taken some time off the online academic grid recently, to spend time with family and friends as I celebrate my graduation and say goodbye to California. Now I’ve returned from a glorious trip up the Pacific Coastal Highway with just enough time to unpack, do some laundry, and repack before heading east: to Madison, WI for the feminist science fiction convention WisCon and then on to Pittsburgh to look for an apartment. Before I disappear again, I have a few links and comments to share. I have been wanting to link to this post by Shawna Lipkin. Her new site is titled Femme Theory; I loved the name, and when I was reading through back posts, I was amazed and flattered to learn that she got the term from me. I talked about femme theory as a way of incorporating queer fannish love into scholarship; the term was and is useful for me because it indexes ways of being and thinking that might look like compliance with hegemonies, norms, and expectations––of femininity, of institutionalized forms of theory––but that are doing something different and more radical as well or instead. One of the things I seek to do in my queer femme digital kinds of theory is to acknowledge the places that critical thought takes place outside the academic context that is far too often the only horizon we discuss. I’ve been thinking about this because I am about to leave for WisCon, the Madison feminist science fiction convention. My annual attendance at WisCon has been one of the biggest influences on my aspirations to make my scholarship count in more contexts than the academic institutional one. 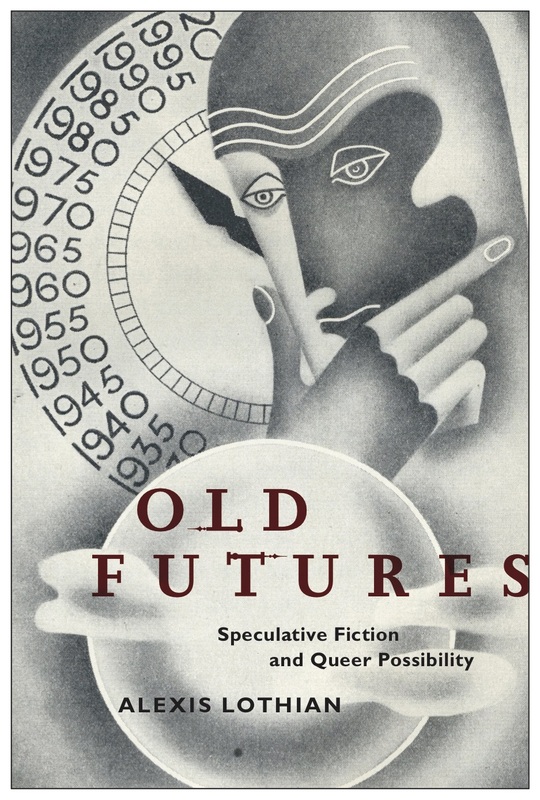 Speculative fiction in a variety of forms was what got me interested in the questions that became my academic work, about identity, gender, race, economies, the relationship between bodies and social worlds, erotics and politics. WisCon is organized around those concerns; in a manner quite different from an academic conference, it theorizes them. It’s a fan convention, but one organized around a critical kind of fandom. Over this past year, I’ve had the opportunity to work with fellow WisCon attendees to articulate some of what that means, and the results––an edited book from Aqueduct Press in their WisCon Chronicles series––will launch at this year’s WisCon. In soliciting submissions, I focused on the conflicts and disagreements that characterize feminist and fan communities alike––as well as academic ones, and on the ways that conflict and drama are perhaps inevitable parts of the collaborative processes of building new ways to see the world. I’ve been meaning to post about the book and about WisCon for a while, but the way I am framing it here is influenced by a recent conversation in digital humanities fandom (I am ever more convinced that this may be the most apt descriptor for DH’s online social networks). Responding to the theory conversation whose collation in the Journal of Digital Humanities included a contribution from me, as well as to Tara McPherson’s wonderful writings about modularity, race, and knowledge production, Adeline Koh recently posted about habitus in the digital humanities. She’s making an argument similar to mine in “Marked Bodies, Transformative Scholarship, and the Role of Theory in Digital Humanities,” I think, though her scholarly frame appeals to a different archive. I found Roger Whitson’s response, TheoryFan, to be quite fascinating. He talks about “theory” as a a fandom, listing everyone from Angela Davis to Jack Halberstam to Jacques Derrida as names and ideas that he would “mix and remix.” I find that I respond like a fan whose object of love has been misinterpreted: these things are not comparable, I want to say, because their political stakes differ so much. That was the argument I made in “Marked Bodies,” and I still think it is true. But it is also true that mixing and remixing is, in a very real way, what we do with theory, how we work to understand and critique the world. There are many forms of theory fandom and many ways in which we can do this; just as the kind of science fiction fandom that comes together at WisCon is not what most people think of when they contemplate science fiction, my kind of theory fandom is different from the land of black-turtleneck-wearing postmodernists one of the commenters to Whitson’s post invokes. 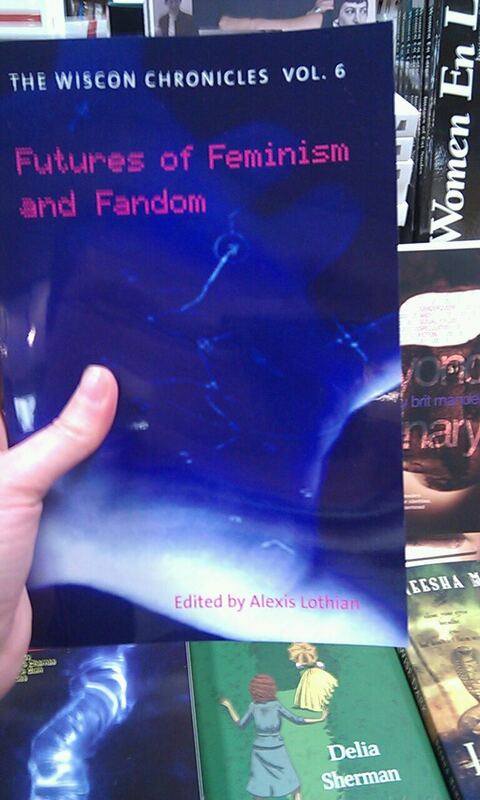 But it is a fandom all the same, with the sometimes less than rational loyalties, the overly dramatic arguments, and the transformative possibilities that any fan culture contains, including the fandom of digital humanities in which both Whitson and I participate. Imagine if the elements of a fan culture with true agency that Henry Jenkins discusses in Convergence Culture (“a changed sense of community, a greater sense of participation, less dependence on official expertise and a greater trust in collaborative problem solving”) could be applied to Theory fandom (209). What would theory be then? Critiques of the idea of “true agency” aside (I am, after all, a theorist), I think that we can find this fan culture already in a number of places––certainly including the digital humanities. WisCon just happens to be the one I’m heading to this weekend. As a loose cannon/link, science fiction (feminist/otherwise) looks more fun than science. I’m clearly in the wrong field, signed up for Sensory Coding & Natural Environment 2012 http://ist.ac.at/scne2012/ and maybe the giant Society for Neuroscience (New Orleans, October 2012 – approx 30,000 attendees), but this lot looks like more fun. We need to get these communities together! We need the imagination back into science, and the science back into the imagination.